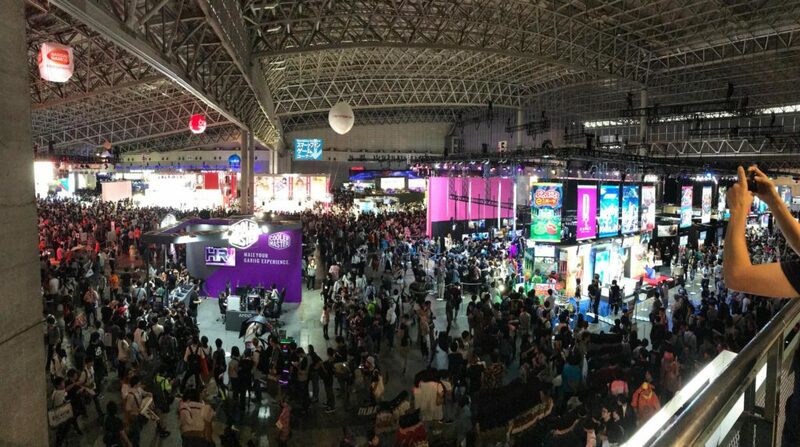 For anyone who has a Twitter Account, Tokyo Game Show 2018 was essentially a sea of free stuff. In exchange for a Follow, a Retweet, a Tweet of your own, (or all of the above), you could get your hands on anything from hats and towels to mousepads and gaming keyboards, all for free! Google Play’s massive booth, which essentially functioned as a crazy sized Japanese Gacha Machine, revolved entirely around giving away free stuff – requiring attendants to access a special mobile-web-page where they could accumulate points by scanning QR codes hidden in different locations around the show. At this point, you may be wondering why all the free stuff? The obvious answer is social-media-marketing. Although Twitter may not be the biggest hit among Social Media users in the US, UK, Canada, and Australia, in Japan it is an entirely different story. Thanks to handy “Kanji Characters” which can be used to express far more in 2 letters than we could ever dream of expressing in English, Twitter seems to be the Go-To platform for a lot of Japanese Social Media users. Secondly, is brand awareness. If you’re given a dope Cooler Master cap, you’re going to want to wear it. We would say 95% of the visitors at Tokyo Game Show 2018 had at least 1 item of clothing which could categorize them as a walking billboard. Some clever players took advantage of this by handing out soft drinks (mainly Monster) while also providing an easy means of disposal right next to their booth, “artificially” creating a crowd around whatever they happened to be announcing (and the rubbish bin).